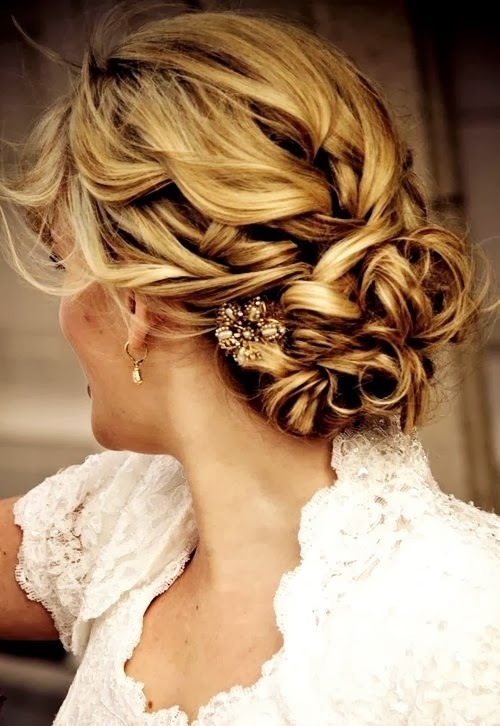 Every bride needs that perfect hairstyle to complete her look. 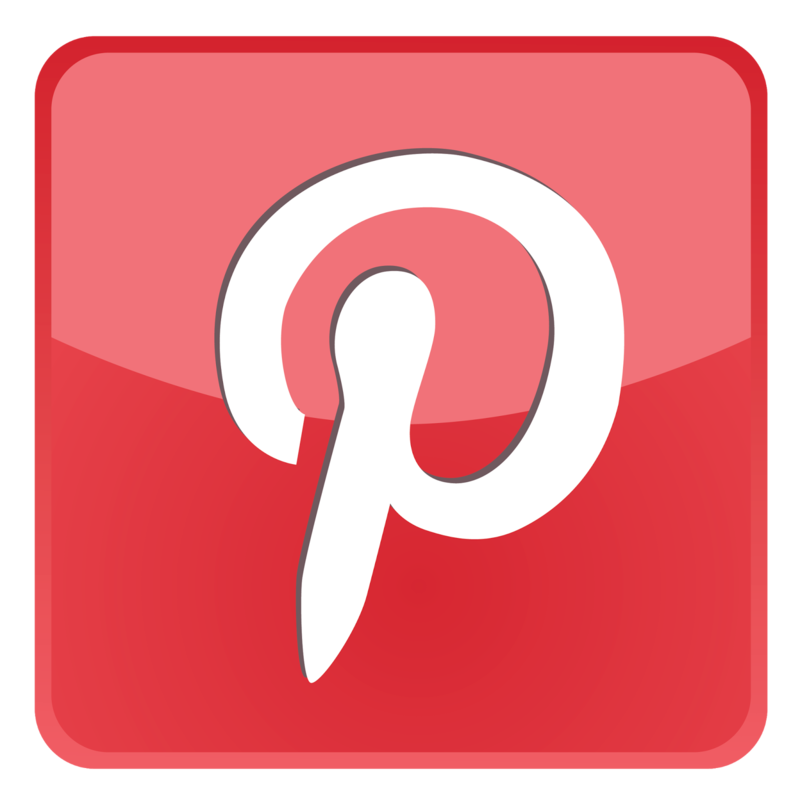 Bridal hairstyles go in and out of fashion just like wedding gowns. Get the scoop on one of the hottest bridal hair trends these days: braids. What is the appeal of braids? Well, for one thing, they are quite versatile. They can be loose and bohemian or polished and sophisticated. Braids are a great way to add texture to a classic hairdo or to tame long wavy hair on a hot summer day. They work for pretty much any hair texture other than very curly hair. Some of the braided hairstyles are also easy enough that a friend could do them if you will not be using a professional hairstylist for your wedding. The simplest braid design is to pull back all of the hair into a low loose braid. The trend for this kind of braid is relaxed and beachy, so the hair should be pulled back softly around the face. Allow the natural texture of your hair to be seen, particularly if it is wavy. This look has been sported by celebrities like Nicole Kidman as well as brides, and it tends to look best when the braid is done a bit off center. Play up the bohemian nature of this soft hairstyle with large dangly earrings as part of your crystal bridal jewelry set. 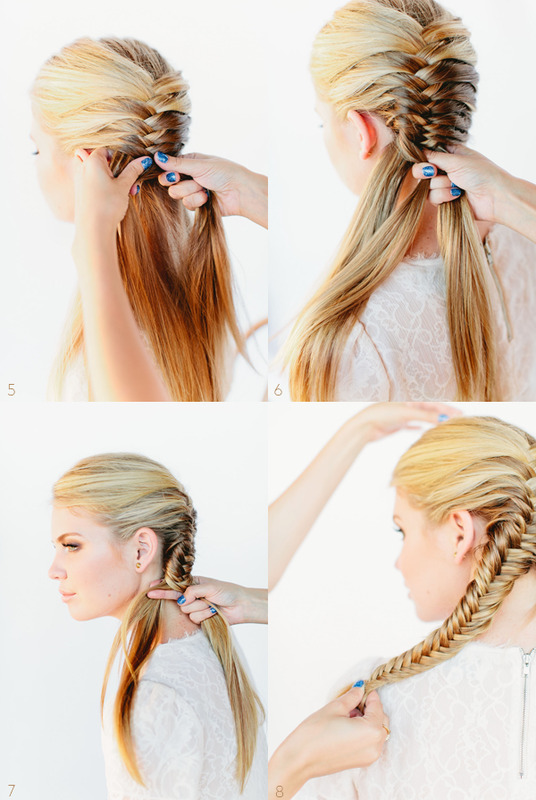 Another gorgeous way to wear braids is as a part of a polished knot. The stylist creates a small braid on either side of the head. Those braids lead into a formal knot style at the back of the head. If you like a more understated look, the knot can be down by the nape of the neck or make more of a statement by placing the knot more in the center back of the head. A crystal and rhinestone spray on a comb will look incredible tucked into the side of this sophisticated hairdo. Choose a comb that complements the details of your crystal bridal jewelry, from delicate to more elaborate. 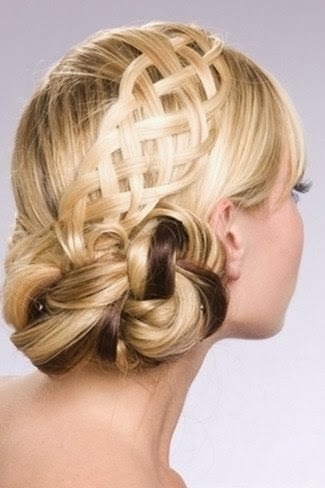 Yet another variation on a braided wedding hairstyle is to pull the hair back with a slight lift at the crown. Secure into a ponytail. Then take sections of the ponytail and create numerous smaller braids. Those braids are then wrapped into a classic knot style at the back of the head. It gives a great texture to a timeless style and is ideal for almost any wedding, from casual to formal. 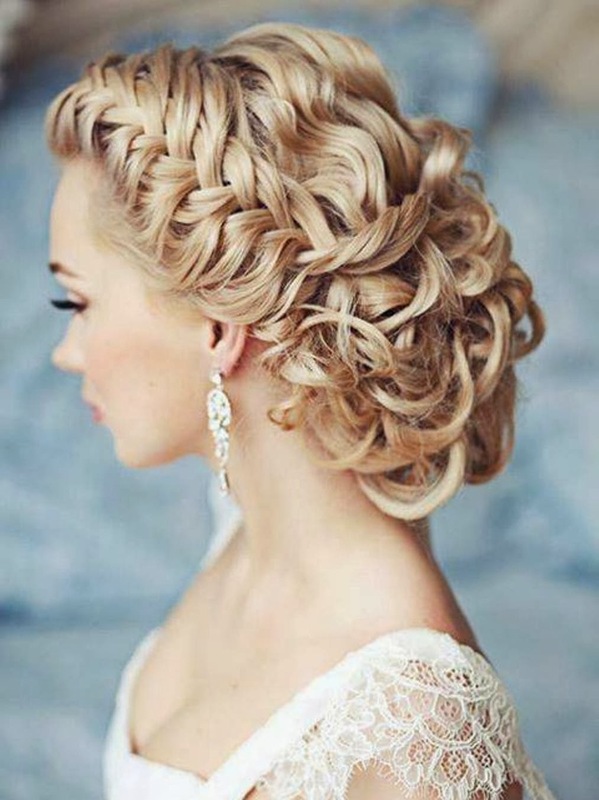 This hairstyle is particularly well suited to brides who have very long hair, because the stylist will have plenty to work with (and it helps to get all that long hair under control). I must admit to being partial to this bridal hairstyle, because it is how I wore my hair for my wedding! If you wish to make the braids more of the focus of the hairdo, another take on the current trend is to braid each side of the hair completely, and then wrap the braids around the head. When done towards the crown of the head, it does have a bit of that "Swiss Miss" look, but there is a certain vintage appeal to it. Wrap the braids further back for to get away from the Heidi look. 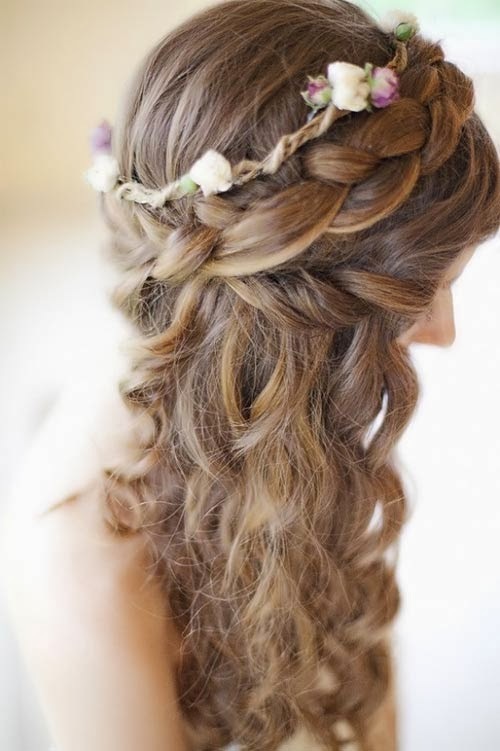 Either way, it is a very angelic and sweet hairstyle for a bride. A scattering of hairpins will complement the wreath-like effect nicely. Just as beachy waves were a couple of years ago, braids are now the go-to style for brides in the know. The great news is that with so many variations you can create a look that is unique and suits the style of your wedding gown beautifully.